Evolve to a lip balm that is unique and takes the color of your lips. You?ll love Maybelline Lip Smooth Color Balm. 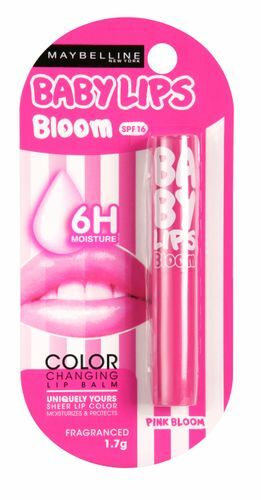 Enriched with the goodness of Jojoba oil and Pro Vitamin E, it nourishes and protects your lips. The unique color tone technology reacts with your lips to give a great amalgamation of color and sheen. The SPF 16 sun protection is the added advantage of the lip balm. For soft, supple and moisturized lips, Maybelline Lip Smooth Color Balm is the perfect solution. Explore the entire range of Lip Balm available on Nykaa. Shop more Maybelline New York products here.You can browse through the complete world of Maybelline New York Lip Balm .Alternatively, you can also find many more products from the Maybelline New York Lip Smooth Color Bloom range.